It’s a refreshing Monday again after the end of Black Friday with all that shopping spree over. Well, if you’re thinking that you have missed a good deal of sale on Thanksgiving or Black Friday, then don’t be disappointed as we are getting ready to load you with discounted pet supplies that you may have missed out with our Grand Cyber Monday Sale! 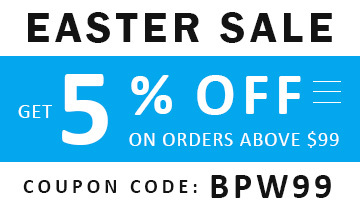 Check on which pet products you can make a great deal and save some extra bucks!!! Prepare your pet to fight against flea infestation this winter by grabbing a big deal on Frontline Top Spot. This easy to use spot-on comes at great saving with an extra dosage of free pack. Why not start stocking your pet pantry for holiday season and have awful time with your furry pal free from fleas, ticks and chewing lice. Don’t miss on gaining a few more bucks on Heartgard Plus with affordable price and free shipping scheme specially for Cyber Monday deal. Get your pack to obstruct those deadly heartworms from infecting your pooch. Help him stay protected from heartworm disease with this medication and enjoy the snow season as there is every possibility of heartworm infection even in winter season. Why let your cat suffer from those nasty flea bites and flea allergy? Pick the best sale on Program Oral Suspension and get control of the heavy flea population. Don’t let the winter set in with flea infestation. 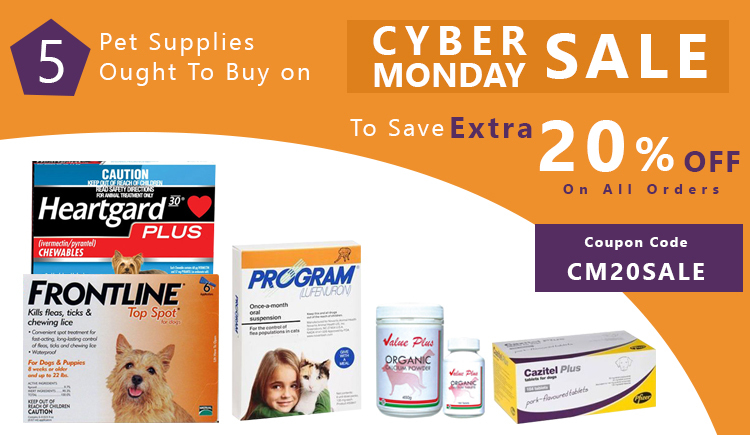 Better immune your cat with program oral suspension grabbing at the Cyber Monday Deal. Your dog is not free from intestinal worm infection. So, why not stock Cazitel Plus for dogs this Cyber Monday to treat them and protect then from dangerous worm infection. Keep those number of different worms out from your dog this festival season by getting Cazitel Plus with great price tag. You would love to see your furry pal running around the house and yard during the holiday season and enjoying the great fun with you and the family. Keeping them stronger and agile is the best you can do by supplying them Value Plus Organic Calcium. This calcium supplement strengthens bones and help in the growth of healthy teeth. Wait for none, and click through the cart to get these calcium tablets at the unbelievable rates for keeping your pooch active and healthy.